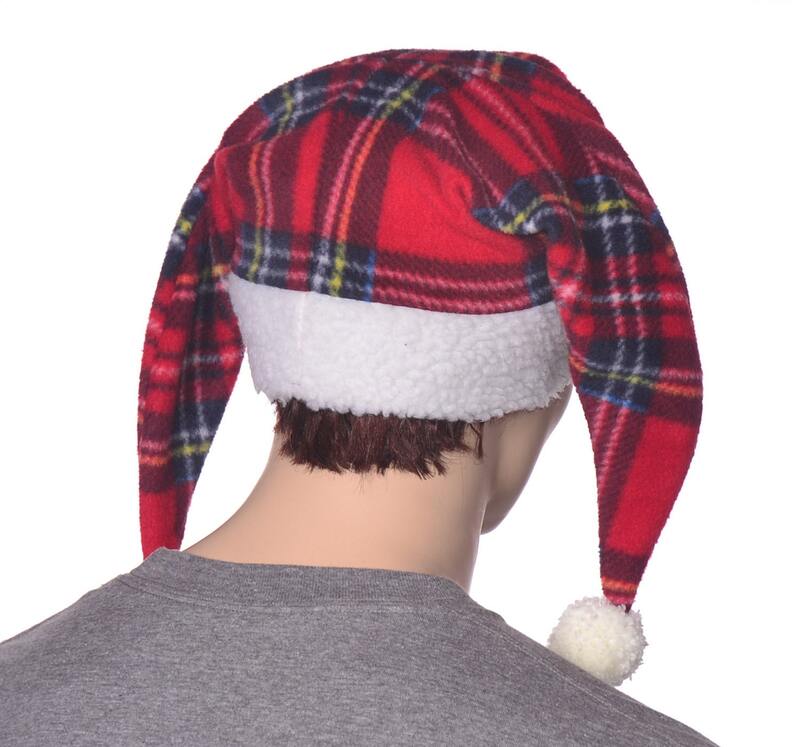 Christmas elf hat in red Stewart tartan plaid. 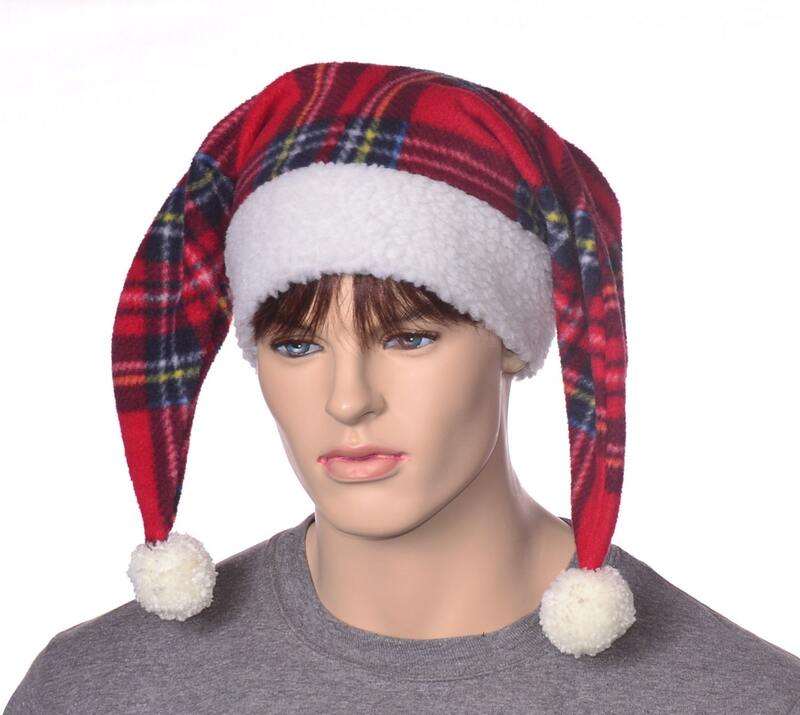 The body of the hat is made from fleece. The double thick headband is made of a poly fuzzy sherpa. The headband and pompoms are in white. The pompoms are hand tied in yarn. The points fall to shoulder length. 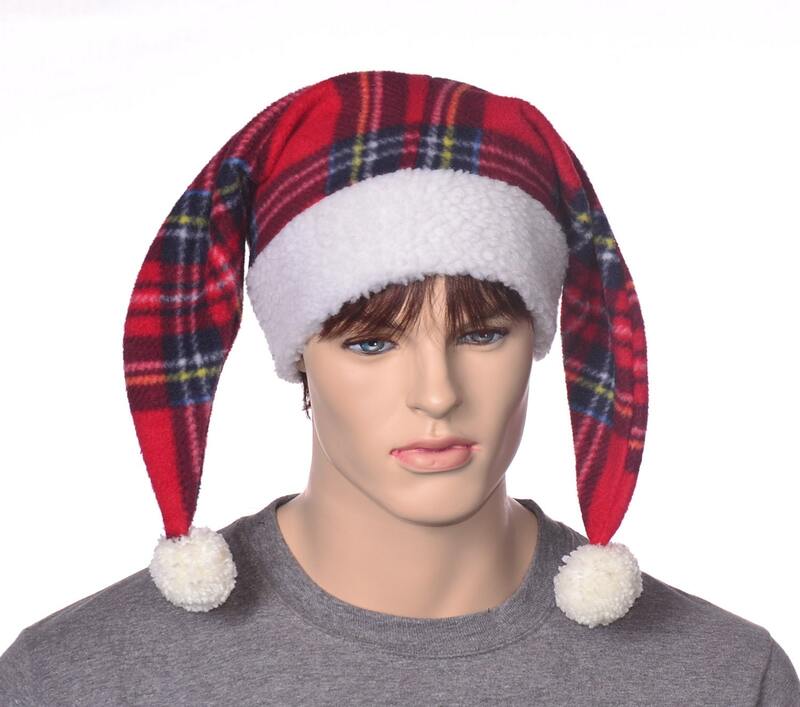 Fabric/plaid placement does vary. 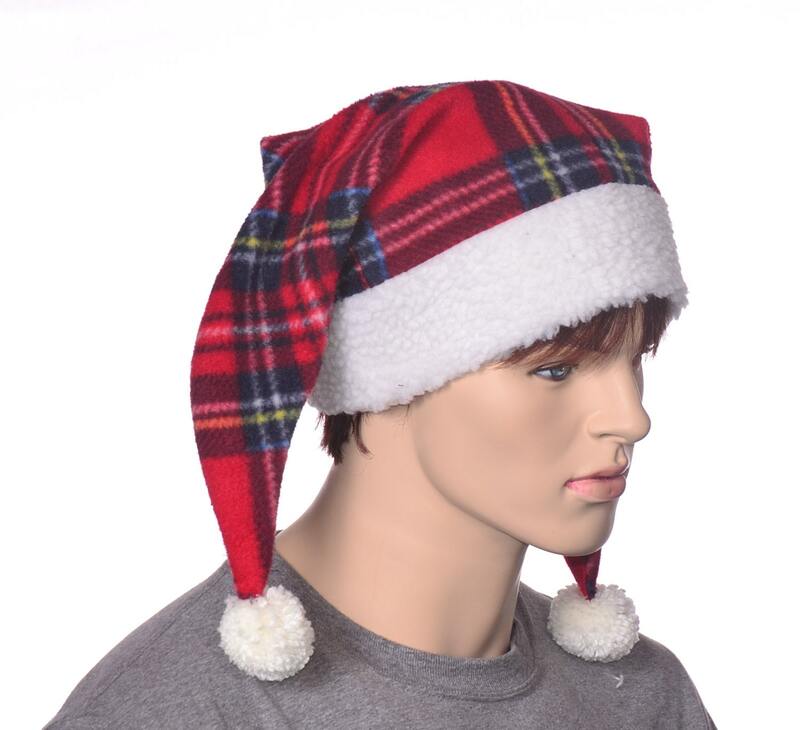 One size fits most with heads measuring 22-24 inches.